Our Confirmation Retreat was a wonderful way to honor Martin Luther King, Jr. and learn more about discipleship! All of our Confirmands were in attendance. Together we spent time exploring who Jesus is and what type of followers do our Confirmands want to be. Each one of us gave 5 hours of service, totally 60 hours. 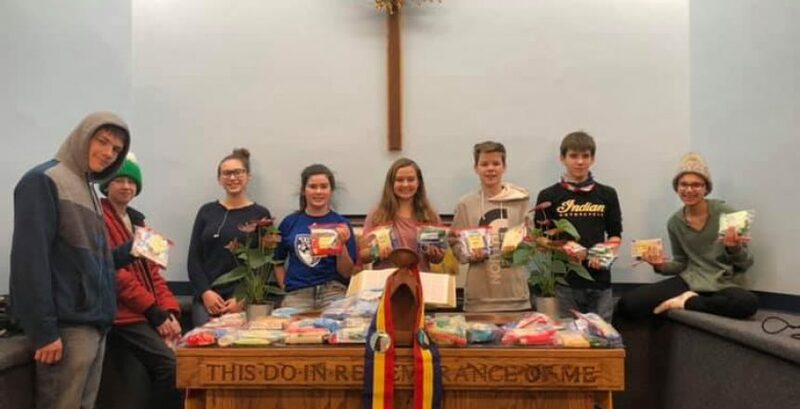 Our MLK Service included working in San Lucas Community Pantry, preparing winter homeless packets, preparing school supplies for children in Cuba and much more! So grateful for this opportunity. Long Live The Dream!